I’d love to say that I’ve been following the Marvel Cinematic Universe since the very beginning, but that wouldn’t be completely honest. In fact there are still a couple of the 20 already released films that I have yet to see. The first Phase 1 film that I remember making an effort to get to was Avengers. One because it was directed by Joss Whedon (and I love Buffy and Firefly) and two, I really like superhero movies. At the time the MCU was launched I didn’t fully understand what Marvel was doing, and it also seemed like a daunting task to make well over a dozen films following one storyline. But as fans talked about easter eggs in the films and the characters that were rumored to appear, I became more and more interested. I’ve been watching with rapt attention since Thor: The Dark World and have since made it my mission to see each Phase 3 film on its unofficial opening night. So far I’m 8 for 8! This brings us to last night when Marvel debuted the next trailer for Captain Marvel. 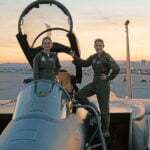 I don’t know much about Carol Danvers, but I like saying her name. Carol Danvers, it just has a pleasant sound. With the many resources available to us, I definitely could be doing more research on her character, but I haven’t. 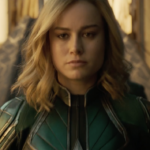 Going into the trailer I knew that she was from Earth and that she was an Air Force pilot, I also knew that she fights with the Kree and that their current threat comes from the Skrulls, a shapeshifting alien race. I also assumed that the old lady on the bus that she punched in the first trailer was actually a Skrull. I know she’s one of, if not the strongest hero in the MCU. And she’s a woman. While that shouldn’t even be a big issue, in the last decade outspoken critics have demanded more female representation on the big screen. I’m all for films by, about, and for women, and if Hollywood doesn’t want to make them then shame on them. Actually, I tend to dislike the over emphasis on the fact that something is or can be done by a woman. Why is that shocking? Why do we have to make a big deal that it’s woman? We shift the focus to a persons gender instead of focusing on the person themself, making it seem like a huge accomplishment that someone met the expectations. I know I’m rambling here, and I guess I’m trying to say that it seems unnecessary for Marvel to point out twice the whole HER+O= HERO. I know Marvel has taken its time bringing Danvers to life because of where she fits in the 3 phase storyline and that her appearance is vital. One of my favorite things about the MCU is the character development and I’m excited to see what they do with her. 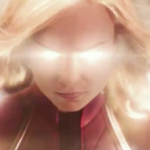 Having Captain Marvel debut right before Avengers 4 makes me think she’s the secret weapon, the missing ingredient for the Avengers to be victorious over Thanos. At the end of Infinity War, Nick Fury manages to send one desperate message to her before he was taken by the Snap. So she’s the big guns, the only hope left for our heroes to win, and after watching the second trailer I can’t wait to see her in action. 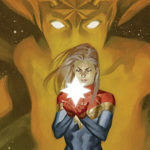 From everything that I do know about her and based on things that I like, Captain Marvel should be my superhero, but we’ll just have to wait and see. I am completely confident that I’m going to like this film.